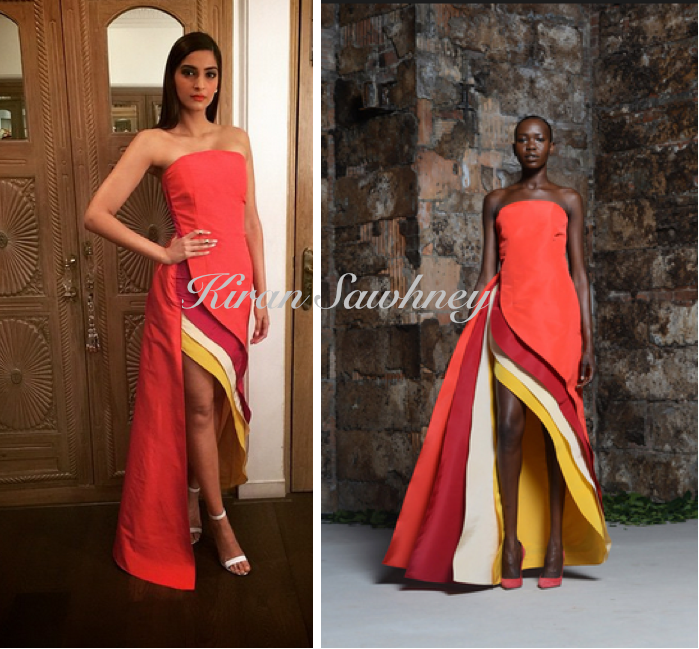 Top Indian fashion and lifestyle blog: Sonam Kapoor in Rosie Assoulin for the Ciroc Filmfare Glamour And Style Awards Press conference. 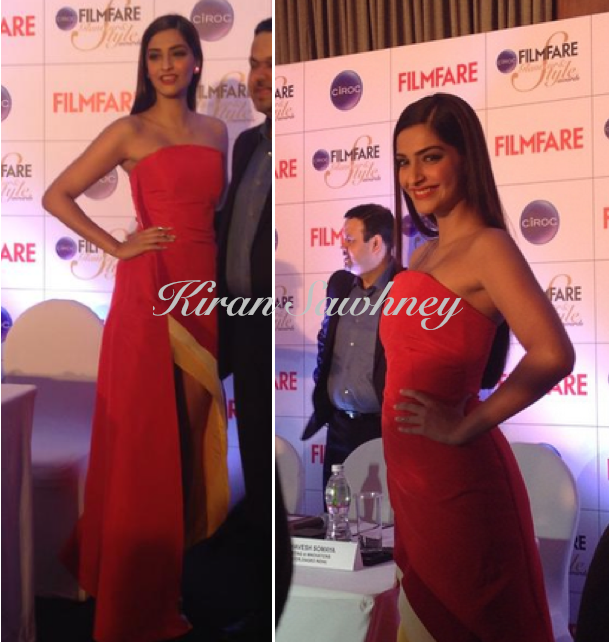 Sonam Kapoor in Rosie Assoulin for the Ciroc Filmfare Glamour And Style Awards Press conference. Sonam Kapoor is at Ciroc Filmfare Glamour And Style Awards Press conference. She is wearing Rosie Assoulin dress from the designer's Resort 2015 collection. She teamed it with white Manolo Blahnik. She looks smashing. We have to give credit to her sister Rhea for immaculate styling. Love it.